Home / The Advocate Nurse / Could a little bit of shame help save lives? No one likes the feeling of being the odd man out or risk being the social pariah. That’s why sometimes, even the most strong-minded of us give into social pressure. Turns out that same phenomenon can be applied to help certain smokers kick the habit. According to research published in the Journal of Consumer Affairs, tobacco packaging that states others disapprove of smoking can lead smokers to feel self-conscious and therefore minimize the desire to smoke. 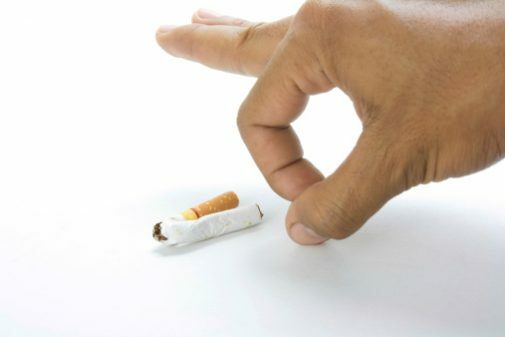 This method seemed to be particularly effective among smokers who do not want to identify as a smoker to their peers. Annie Lally, lung cancer nurse navigator at Advocate Illinois Masonic Medical Center in Chicago, offers a word of caution to those looking for ways to help their loved ones quit smoking. Stay motivated by keeping a list of reasons to quit with you at all times. Set achievable goals and reward yourself for completing them. Consume small, frequent meals, and keep something with you to keep your hands busy and fend off the temptation to smoke. Find support among former smokers or nonsmokers at events where there will be smoking. Keep a positive attitude. It takes many people multiple attempts to quit for good. Giving in to one craving does not automatically make you a smoker. Use the moment to find ways to prevent future slip-ups. I like the pleasures of not smoking; not standing outside like an idiot, the house smells nice, I smell nice, having fun with all the money saved.